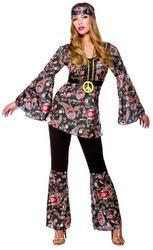 Rewind to the 1960s and transform you into a peace loving hippie with this flower child fancy dress costume. 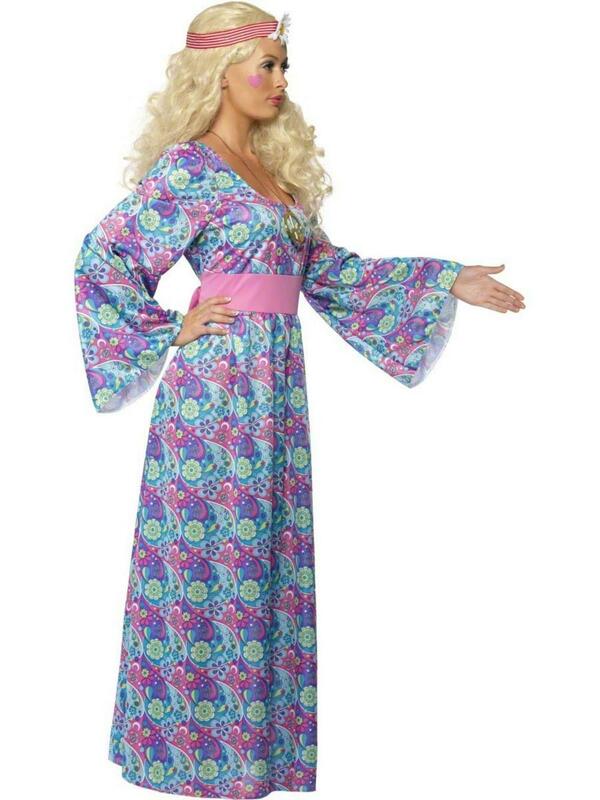 Included is a gorgeous colourful maxi dress decorated in an eye catching paisley print and styled with long draping bell sleeves. Completing the 1960s hippie fancy dress costume is a cute pink coloured waist tie. 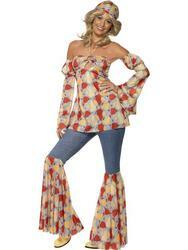 Sure to have you looking like the prettiest hippie at any 1960s themed fancy dress party.